Could The Future Canucks Become The Championship Blackhawks? There are few leading headlines that could draw the ire of B.C. sports fans quicker than comparing the Canucks to the Chicago Blackhawks in a good way. Currently, the Vancouver Canucks are nowhere near what the Blackhawks have become and aside from a few home run picks and a blossoming prospect pool, the Canucks will continue to tread water barely above the NHL’s standings floor. But what if it all turned around starting this offseason? What if the Canucks won the NHL Draft Lottery and were able to pick Super Swede, Rasmus Dahlin? Could the Canucks actually right the ship and begin the ascent back to true glory? It’s possible, a long shot, but possible. The turnaround for the Blackhawks wasn’t when they drafted Jonathan Toews third overall in 2006, nor was it when they won the draft lottery in 2007 and took Hart and Conn Smythe winner Patrick Kane first overall; the Hawks began their rebuild when they took Duncan Keith in the 2002 draft followed by Brent Seabrook in 2003. Chicago’s defense would later emerge as the NHL’s elite group and was pretty much unstoppable. As the team continued to finish towards the bottom of the standings in the mid-2000’s they also picked up Corey Crawford, Dustin Byfuglien, Dave Bolland, Adam Burish, Patrick Sharp. These players were picked up in various rounds but the combined efforts of Mike Smith, Bob Pulford, Dale Tallon, and Stan Bowman created the team that most NHL franchises feared and also wanted to emulate. That team had everything from top to bottom: grit, scoring, goaltending, defense, power play, PK; the works. Oh, and multiple draft picks. 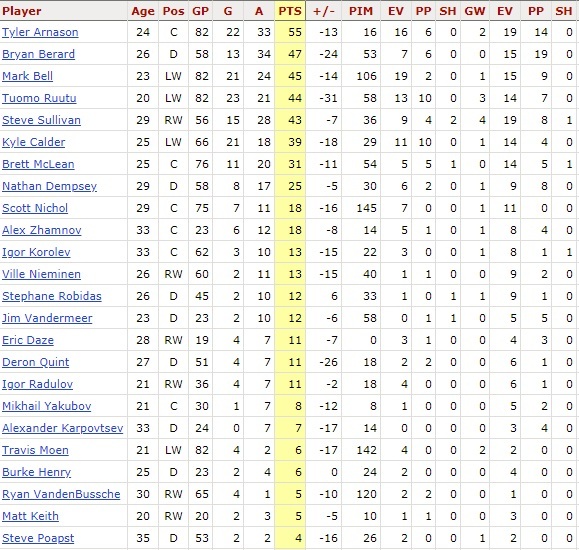 Before the Blackhawks got there, they had similar numbers that resemble the current Canucks roster and it gives hope to a fanbase that might not want to believe this. 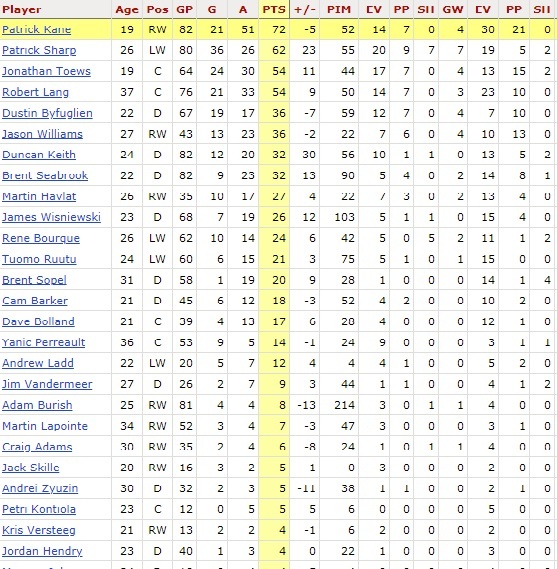 OK, that team didn’t have Jonathan Toews or Patrick Kane. No, it didn’t. However, there was a very young Tuomo Ruutu, Tyler Arnason, an impressive Steve Sullivan and aging forwards like Alexei Zhamnov and Igor Korolev. That team wasn’t very good and it would stay that way for a few more years, hence the lottery picks. They would later add Martin Havlat, Radim Vrbata, former Canuck Adrian Aucoin, Rene Bourque, and even a soon to be retired Peter Bondra. There are some similar storylines that mimic what the Canucks have done like the acquisition of Thomas Vanek, Loui Eriksson, Erik Gudbranson and even Michael Del Zotto. I’m sure a few of these pickups for Chicago weren’t loved, speaking at the Bondra move and possibly the pickup of Michal Handzus who would only play eight games for Chicago before tearing his ACL and moved on. Shrewd drafting clearly paid off for the Hawks and it’s possible Jim Benning is still creating a stable of players (hear me out) that could resemble this team in the next 3-4 years. 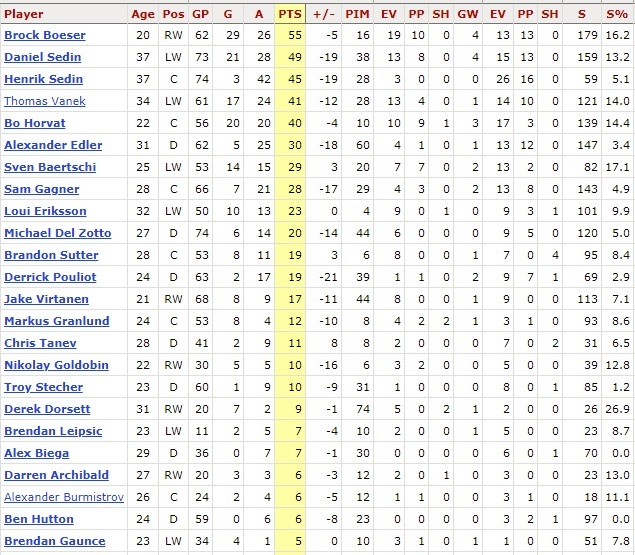 Chicago didn’t win the Cup immediately with this team but the young group grew together and was anchored by an amazing defense, a few star forwards, and a supporting cast that drove teams nuts. The stats don’t lie. So, where do the Canucks come in? First and foremost, Brock Boeser and Bo Horvat are the keystones of this franchise going forward. Having leaders like the Sedins still on the team to show them how to be professionals can’t go unnoticed. Gritty forward Brendan Leipsic could be one of the players that go completely overlooked as the team grows and his resemblance to Alex Burrows with more of a Patrick Sharp release, will give the Canucks future second line a real punch. When Elias Pettersson steps onto the ice as a Canuck he will have the opportunity to become what fans have lusted for in a hybrid scoring forward that combines bits of Toews and Kane with the level-headedness of a Swede. Depth forward Adam Gaudette is on the verge of becoming a Canuck as well and even though he won’t get top billing, Kris Versteeg and Adam Burish didn’t either and the Hawks wouldn’t have won Cups without those guys. I’m not saying Gaudette is a great comparable to either of those players but where they factored in the lineup is very close to where Gaudette will be for the next couple of years. Add to that the likes of Kole Lind, Jonathan Dahlen, and Canucks Army, favorite Jonah Gadjovich, and the Canucks might be closer to rebuilding this team than many thought. Yes, I’m aware none of the last three will be mainstays and prime contributors to the team in the immediate future but there are numerous teams in the NHL that have had similar problems and have bounced back, let’s not think the Canucks are alone in this problem. As far as goaltending is concerned, the future lies with Thatcher Demko. He has the makings of a superstar and like former Canucks Cory Schneider and Roberto Luongo, he is a big game player that studies the game and is constantly getting better. Chicago went with Antti Niemi when they won their first Cup and ran with Corey Crawford in the next two; definitely not superstars by any means but they were young and confident. Tough to say how Demko compares to them and every team has a different path to the Cup but Thatcher’s stability in net will determine how far the Canucks go in the future, much like Luongo dictated before he had his throne taken away. The real results lie on defense. None of this may come to fruition without the luck and fulfillment of this year’s top prize: Rasmus Dahlin. It’s no secret Dahlin and Elias Pettersson would love to play with each other as they were friends and teammates on Team Sweden at the World Junior Championship and potentially at the World Championships this spring. Dahlin is a game-breaker, nothing like the Canucks have ever had on their backend. He scores, he passes, he dangles, he dipsy-doodles. He’s everything this fanbase has ever wanted and maybe just maybe, missing out on a franchise center like Connor McDavid or Auston Matthews can be forgotten if Vancouver gets a stud defenseman this June. Look through history and see what each team had when they lifted the Stanley Cup: a top defenseman. Niklas Lidstrom, Chris Pronger, Scott Niedermeyer, Bobby Orr, etc. All of these players made their Cup-winning teams a threat because they were game-changers. Rasmus Dahlin may very well be in that category but time will tell if that’s true. Again, if the Canucks don’t get Dahlin much of this may be delayed until Vancouver can snag their man but overall, the Hawks and Canucks aren’t all that different in their growth. I guess the real difference is that Chicago knew it was happening and set themselves up for the future with multiple picks and picks in the right areas whereas the Canucks are trying to push the door open when it clearly says “pull”.